Find below some of our graduates, who may inspire you to do well and achieve excellence in teaching, learning and research. 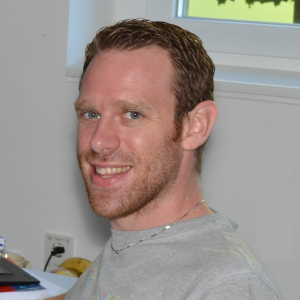 I followed a rather unconventional path which led me to start studying computer science and information management at the University of Klagenfurt. In the year 2000 I got the opportunity for an apprenticeship in computer science. After three years of a practical and theoretical education I graduated with honors, followed by three more certificates in this domain. In 2003 I started working as a junior software engineer and database architect at one of the leading construction companies in Europe, STRABAG SE, to which I am still loyal until today. Also in 2003 I started to attend an evening school to get my A-Level exam. Two years later I finished and then started studying computer science and information management at the University of Klagenfurt. Finally in 2012 I graduated Computer Science, followed by a Masters degree in Information Management in 2018. WHAT ARE YOUR MEMORIES OF ITEC/AAU? During my time at ITEC/AAU I was able to combine and complete my existing practical knowledge in the broad area of computer science and economy as well as sharpen my social skills, besides having a demanding job. Motivated, understanding and knowledgeable Professors and the helpful university staff as well as a flexible schedule made this possible. I really appreciate the interpersonal level of communication and openness I experienced with the Professors, especially with Mathias Lux and Peter Schartner. I am also thankful that I had the chance to study one semester abroad at the Florida Atlantic University, which was made possible through ITEC and Professor Oge Marqes. My memory of AAU and ITEC is throughout positive, I made great friendships and was offered such a great education in an open and friendly environment. 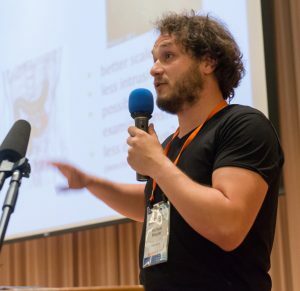 Michael Alexander Riegler is is a Research Scientist at Simula Metropolitan Center for Digital Engineering and University of Oslo. He received his Master from the he received his master degree from the Klagenfurt University in conjunction with TU Delft with distinction. His PhD he received at the University of Oslo in only two and a half years. His main research areas are machine learning in societal important topics such as health care, climate change and energy consumption. Furthermore, he is involved in several initiatives like imageCLEF and MediaEval Benchmarking. He was also appointed to join the expert group on AI in health-care of the Norwegian Board of Technology that reports directly to the Norwegian Parliament. My most precious memories of ITEC are the people working there. I feel very lucky that I could learn from them and with several of them I am still connected. This experience shaped my future life in a very positive way and I hope I can keep the spirit in my future collaborations and supervision of my students. Very special thanks to Mathias, Martina and Laszlo! 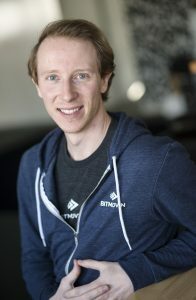 Christopher Mueller is the CTO and Co-founder of Bitmovin. He leads Bitmovin’s long-term technology vision, and is responsible for overseeing product development, industry thought leadership and advanced technology incubations. Christopher published more than 30 research papers in the areas of multimedia streaming, networking, and multimedia adaptation and currently holds several U.S. patents. He co-created the MPEG-DASH video streaming standard which is used by Netflix and Youtube. MPEG-DASH alone accounts for 50% of the total internet traffic in North America at peak times. Christopher is the author of the MPEG-DASH reference software libdash and a contributor to multiple open source projects. Working at the institute of information technology together with Christian Timmerer and Hermann Hellwagner was an inspiring experience in an informal and open environment that transformed my thinking about video and multimedia. The work on exciting research topics in the multimedia space opened the door for me to work in the USA, which helped me to think broader and bigger.